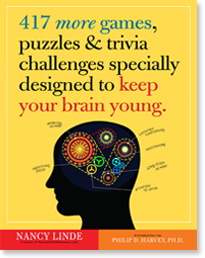 Never2Old4Games.com is the brainchild of Nancy Linde, a documentary film producer and writer who has also developed and produced game shows for television. Nancy has been playing and making games her entire life. 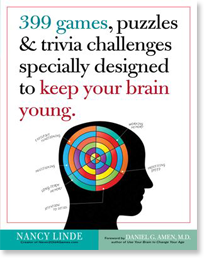 The inspiration to create games for senior citizens can be attributed to Nancy’s mother, Ellen, who enjoyed games and puzzles for 91 years. Ellen, who passed away in 2007, spent her last year in an assisted living residence. It’s there that Nancy noticed the need for high-quality group activities and began to think about creating this website. Never2Old4Games launched nearly a decade ago. We believe passionately in the power of play to enhance happiness at all stages of life and we remain dedicated to creating high-quality games that provide intellectual stimulation and social engagement for seniors. We are constantly developing and refining our games and testing them on our target audience.